DMS: The Data Platform Your Whole Team Will Love! Didn’t get a gift for your Valentine? 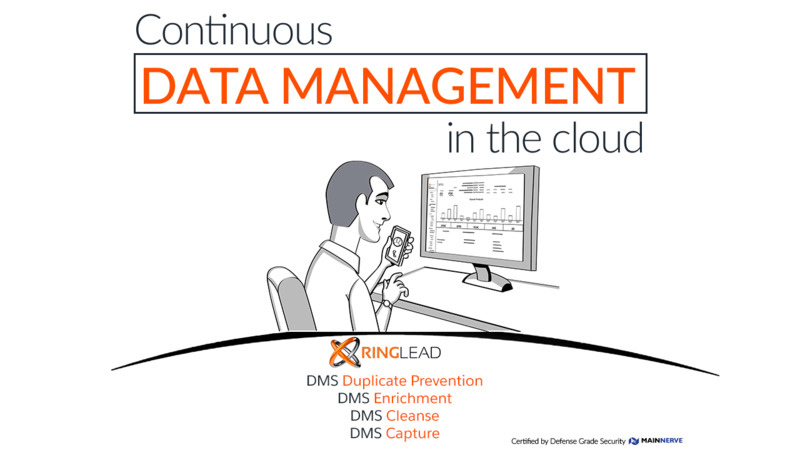 No worries, RingLead’s Data Management Solutions (DMS) has got you covered! With RingLead DMS you can check off everyone on your Valentine’s gift list by providing a cleaned, protected, enriched and normalized CRM within minutes. RingLead DMS is the only cloud-based, 360 degree data management platform that will cover all of your data quality needs in real time. You, and your team, will quickly fall in love with DMS when you realize just how much time, money and stress RingLead can save you. Your entire team will be talking about this Valentine’s Day treat for years to come thanks to RingLead DMS. PreviousPrevious post:How Incomplete Is Your Data?NextNext post:How To Use Social Data To Get A Meeting!